A custom photo mug is a lot less expensive to produce now, thanks to modern technology. Computer aided design and a process called “sublimation” makes it a lot easier for us to customise your photo mug any way you like it. Why a Custom Photo Mug? 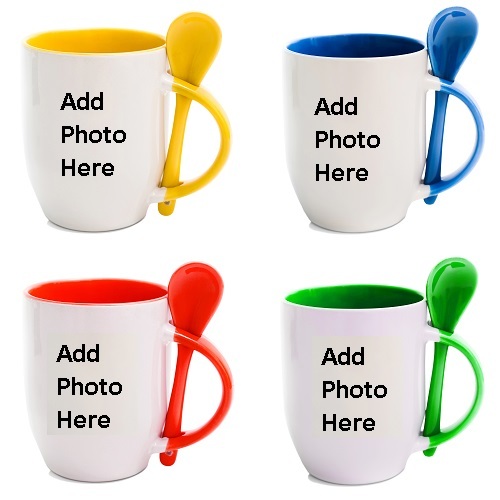 Custom photo mugs are great for a number of situations. They are great for commemorating occasions or promoting a business. A photo mug offers the ultimate in flexibility. Because we can now sublimate a photo or any other design onto a mug, the promotional possibilities are endless. Anything you can think of, we can put on a mug, as long as it fits. This allows us to get your company logo perfect. If your business sign is iconic and identifies your business, it can be included. Any photographic or artistic image you want can be printed on a photo mug. What better way to promote your business than to create an attractive photo mug that your clients will see every time they have their morning cuppa? All you have to do is call us or use the contact section of the website. We can make a batch as small as 20 mugs if you like. We can even put individual names on the mugs. The photos are printed in full photo quality. The colours are sublimated onto the mugs, which are then packaged in individual gift boxes. The sublimation process actually uses dyes that go into the surface of the mug. Because of this, the mugs are 100% dishwasher safe. You have to see a sample of our work to fully understand how impressive these photo mugs are. To learn more or to place an order, call ImagePak Marketing today: (08) 92444 111.